This wide cabinet brings storage space to your living room with three small drawers along the top and three doors below revealing shelves. Constructed with reclaimed wood of acacia and teak, the finish is natural creating a beautiful unique piece. The metal ring pulls complement the rustic look of the cabinet. 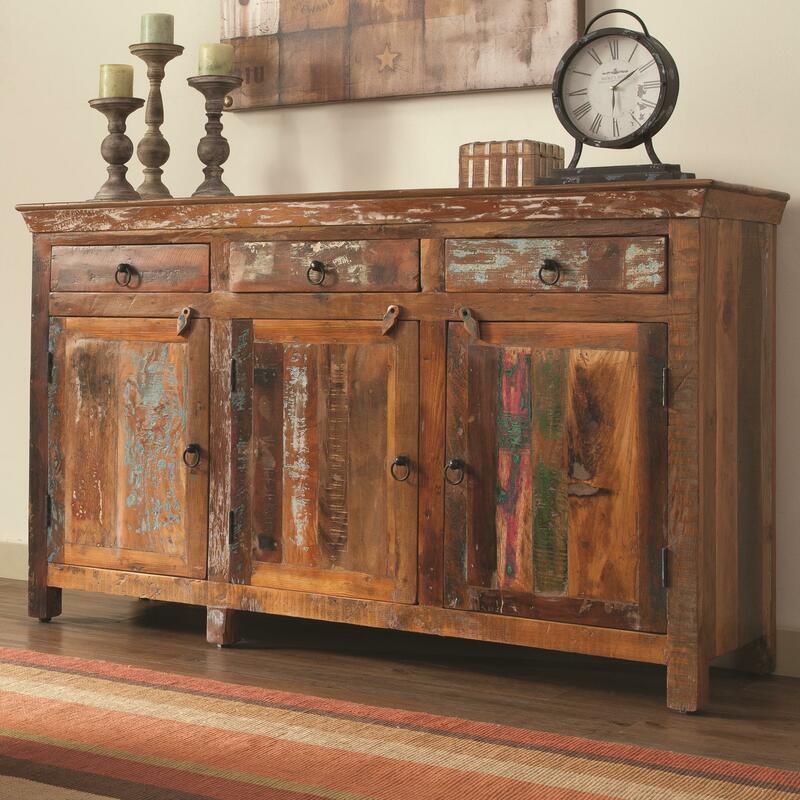 The Accent Cabinets Rustic Cabinet w/ Doors by Rooms Collection Two at Rooms Furniture in the Houston, Sugar Land, Katy, Missouri City, Texas area. Product availability may vary. Contact us for the most current availability on this product. The Accent Cabinets collection is a great option if you are looking for furniture in the Houston, Sugar Land, Katy, Missouri City, Texas area. Browse other items in the Accent Cabinets collection from Rooms Furniture in the Houston, Sugar Land, Katy, Missouri City, Texas area.